There’s no such thing as too many charging cables, especially when they come with three different charging connectors. Right now, you can snag Anker’s PowerLine II 3-in-1 cable for just $11.24 when you checkout using coupon code ANKERKJ8. It normally sells for around $17 and the cable has never dropped this low directly. The code works for both the black and white color options. The cable itself is Micro-USB and just happens to have two additional adapters connected right to it. There is one for Lightning ports to charge your iPhone and iPad, along with a USB-C connection to charge your newer Android devices and accessories. It offers a max speed of 2.4A on both the Lightning and Micro-USB chargers, and 3A on the USB-C end. 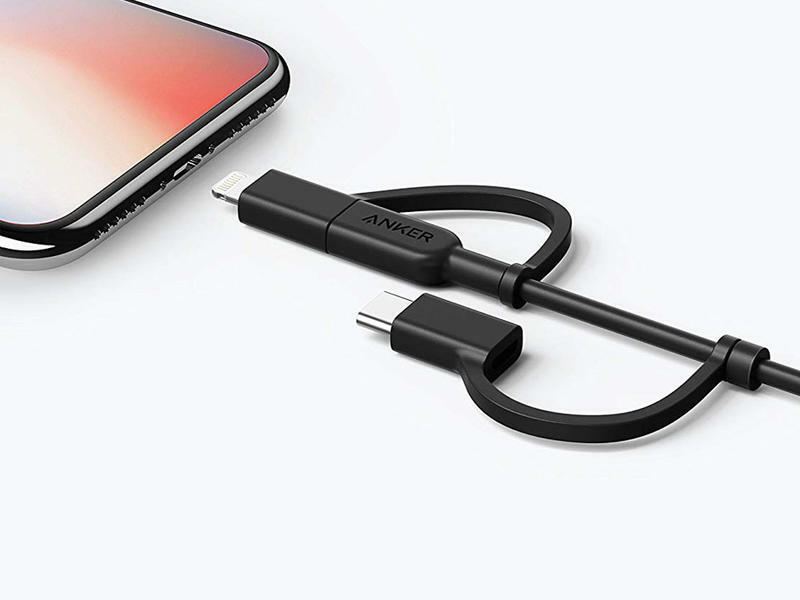 The Lightning connector is MFi-certified, meaning that Apple has approved it for use in safely charging and syncing your iPhone or iPad. The cable is durable, too, allowing for over 12,000 bends without breaking. Existing users give the cable 4.3 out of 5 stars. Anker is so confident that you’ll love this cable and won’t have issues with it that the company is backing it with a hassle-free lifetime warranty. These are handy to have around since not everyone uses the same devices these days. We’re not sure how long this coupon will be available for, so be sure to grab a few of these to have in your car, home, travel bag, and more while you can.